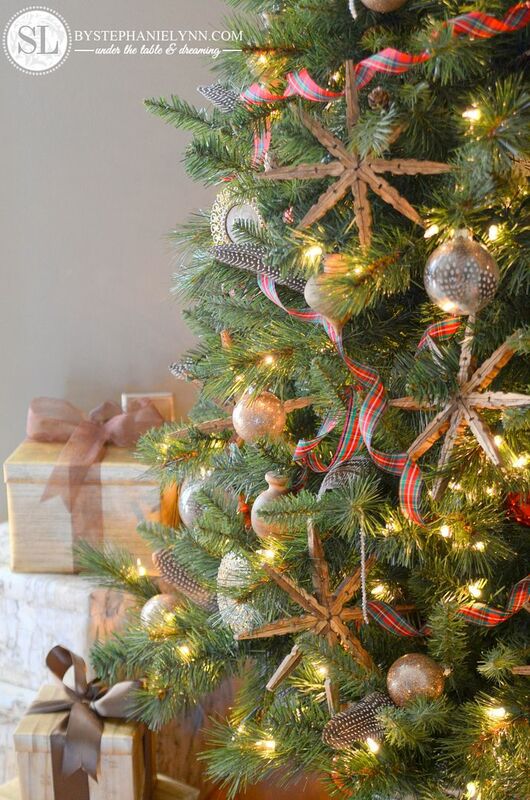 Michaels Dream Tree Challenge #JustAddMichaels | A couple of weeks ago I mentioned our early holiday shopping trip to Michaels for this year’s Dream Tree Challenge. I was so thrilled to have the opportunity to participate in this annual event – not to mention getting a jump start on our holiday decorating. We usually have our tree up for our Thanksgiving guests to enjoy so I’m pretty excited I get a few extra weeks of glowing Christmas lights this year. The first couple of shopping trips left my head spinning with so much inspiration and ideas. Instead of deciding on a dedicated theme I simply strolled the entire store and picked up items and elements that I personally liked. All of the goodies on the tree, including the tree itself, are from Michaels. 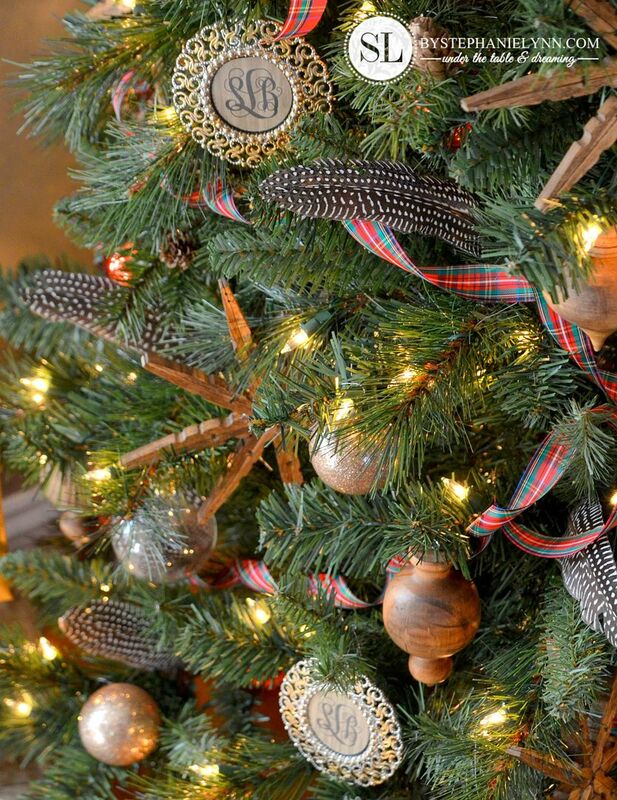 Plaid, monograms, natural wood ornaments, feathers and I couldn’t forget a touch of glitter and sparkles. Growing up my Mom always decorated our tree in red. This is the first year I have ever used a bright red and just love how festive it is. I didn’t plan on a red tree but fell for the plaid ribbon. 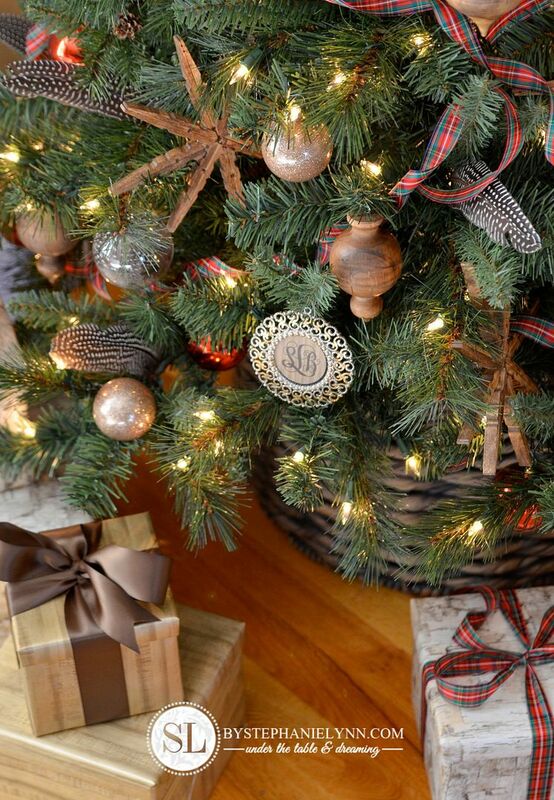 The past couple of years we have nestled our trees in woven baskets and this year was no different. 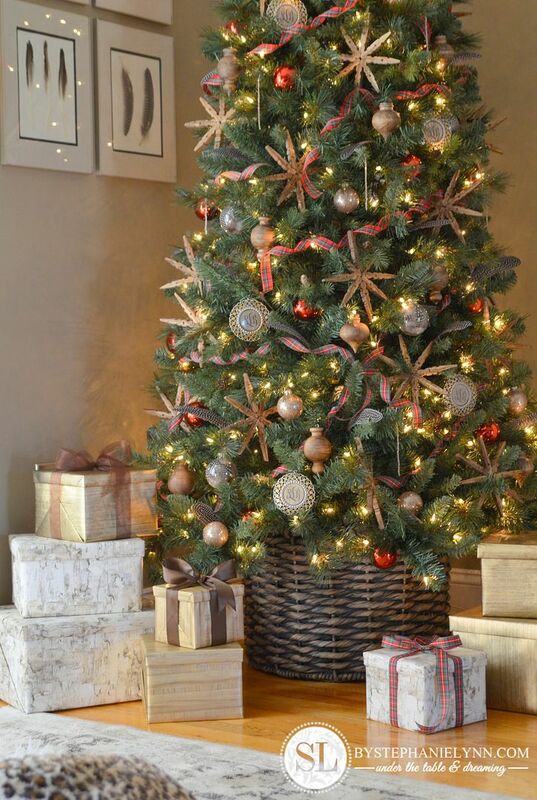 I like the added height and extra room it leaves underneath the tree. 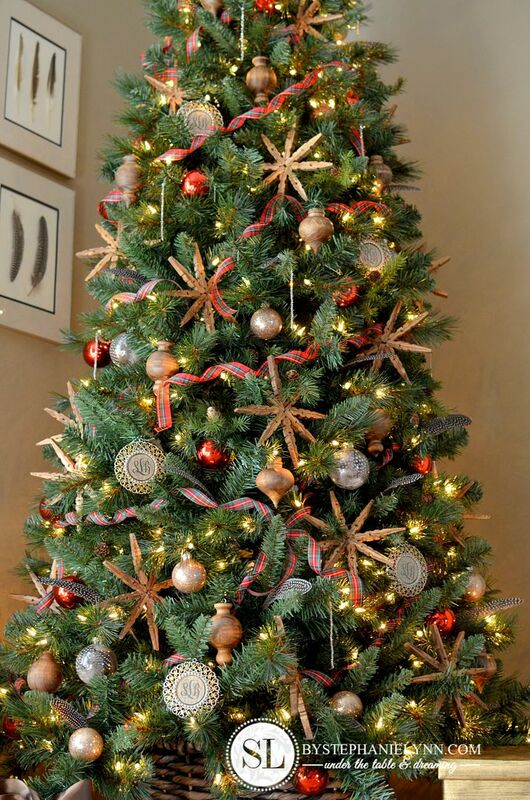 Other than the red bulbs, the rest of the ornaments were all quick, easy and semi-diy. I recycled an idea I shared two years ago and made several clothespin snowflakes as well. 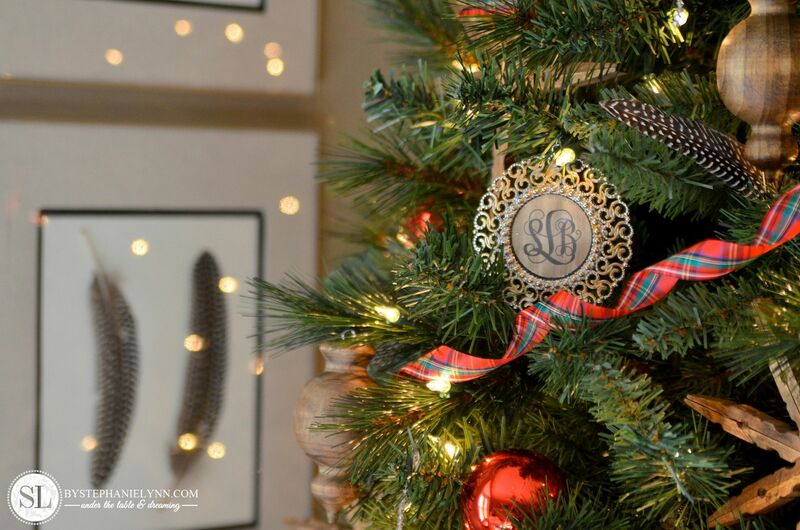 All of the semi-handmade ornaments were under $2 each to make, with the exception of the monogram frames – Those were just under $5 each. I am pretty pleased with how it all came together. A little bit of everything I am loving right now. 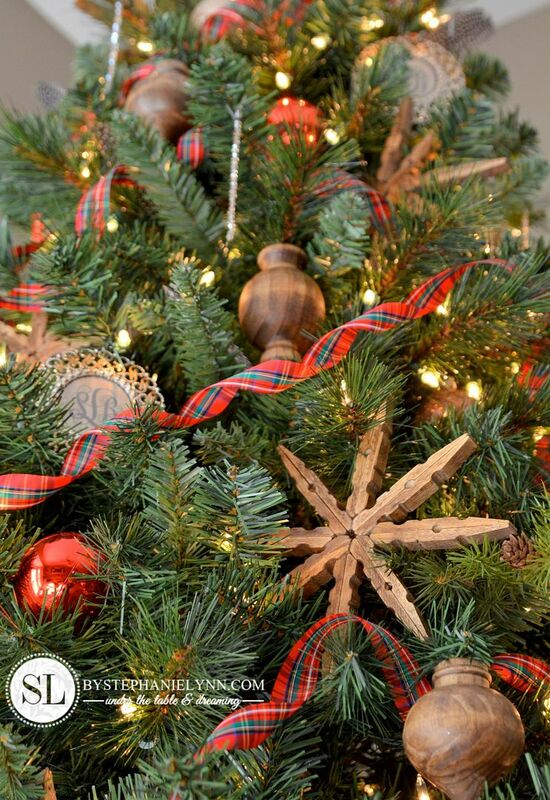 For step by step details on all of the ornaments from Michaels used to create this tree, including the tree basket, check out this post: Easy Holiday Ornament Ideas. I’m pretty excited about the upcoming holiday season with the twinkling lights all aglow. 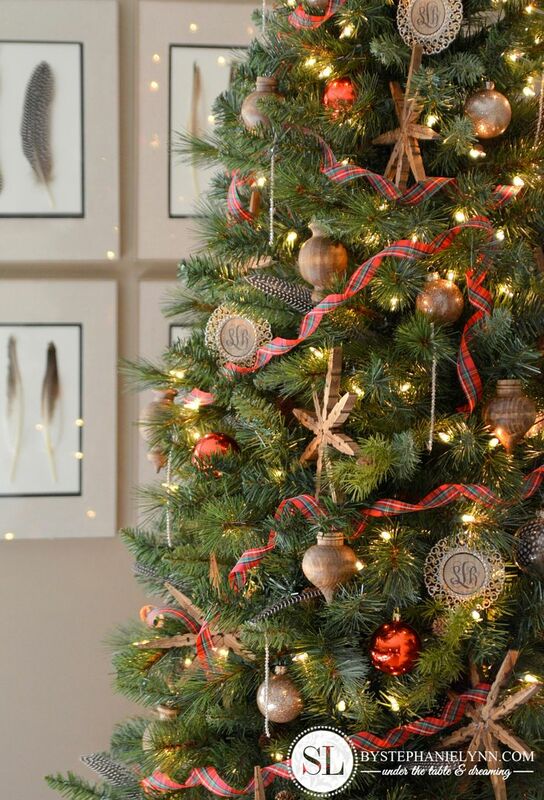 Be sure to stop by and visit all of the fabulous trees in the Michaels Dream Tree Challenge this year #justaddmichaels. They’ll be sharing them on the Michaels Stores Facebook page and Michaels Stores Pinterest page shortly! This post is brought to you by Michaels. The opinions read here about our shopping experience and products are entirely my own. 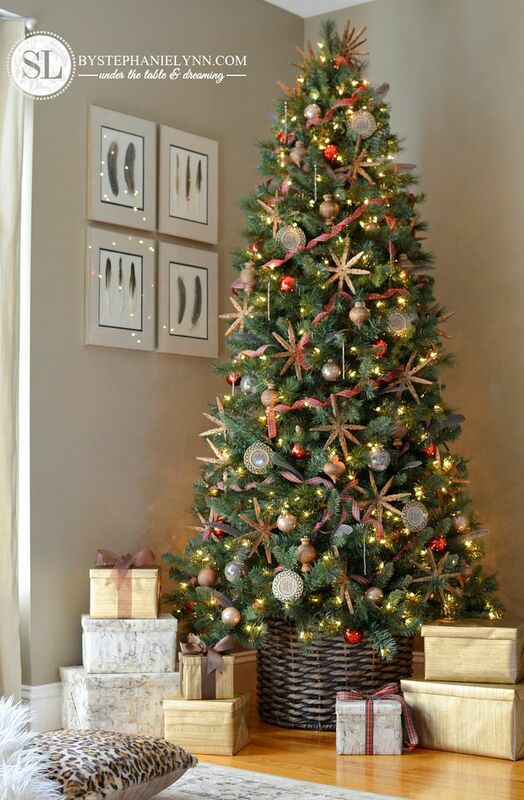 For some pre-season holiday inspiration, the Michaels Décor Guide has a lot of great ideas and projects to spread the holiday cheer. Navigate through the online version or pick up a copy at your local Michaels! Your tree is stunning. It looks warm, rich and personal. It’s beautiful!! May you have a blessed holiday. Beautiful. 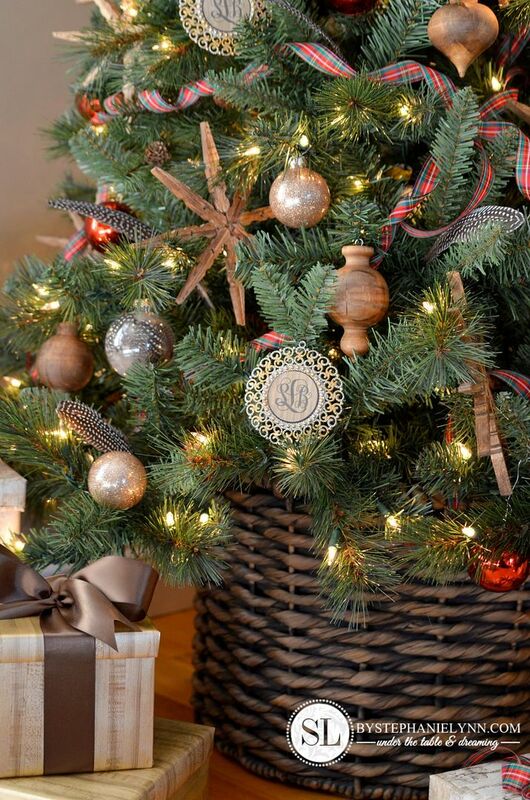 Love the basket…on my way out today to get one for my tree….Great Job!! Gorgeous tree! LOVE the mix of rustic and sparkle. 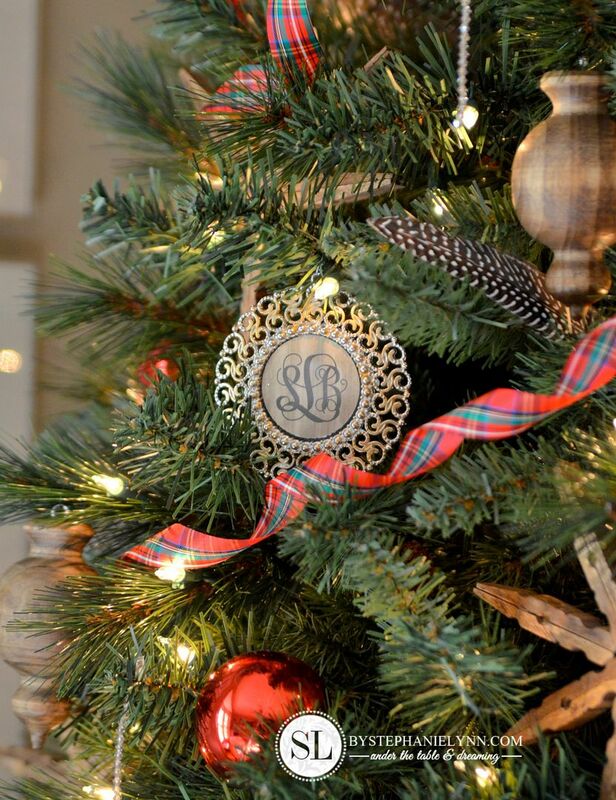 Looking forward to seeing your next post and how to make the monogram ornaments. This tree came out so great. I kept looking and looking at the tree and the snowflakes. I was saying to myself, these look like I can make them and then, BAM, you said you made them last year. They are so cute and yes I can do so many things with them and to embellish them a bit!!! I love your tree. It’s beautiful! I fell in love with your clothespin snowflakes and had to make some for my tree this year! What tree did you use? 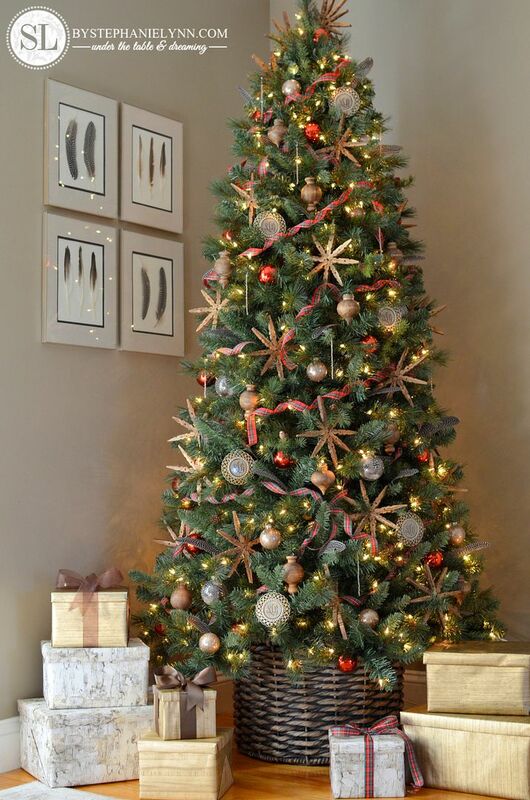 Hi Beth – This is the Pre-lit Celebrate It™ 7 ft. Willow Christmas Tree from Michaels. THis is my favourite Michaels tree I’ve seen so far! I LOVE LOVE LOVE the basket and the frames, awesome ideas!